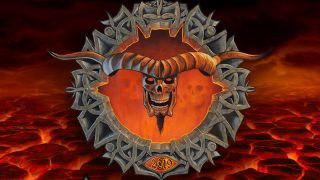 Organisers of Bloodstock 2019 have revealed the names of five more bands who’ll play at the festival this summer. The UK event will take place at Catton Park, Derbyshire, on August 8-11, with Sabaton, Scorpions and Parkway Drive previously confirmed as headliners. Now it’s been confirmed that they’ll be joined over the weekend by Cancer Bats, Raging Speedhorn, Shvpes, Taake and Resin. Cancer Bats have landed a slot on the Ronnie James Dio main stage on the Saturday, while Taake will headline the Sophie Lancaster Stage on Saturday night. Raging Speedhorn will play on the Sophie Stage on the Friday, while Shvpes have claimed a Saturday spot, and Resin will perform on the Sunday. Other artists previously announced for the weekend include Anthrax, Soulfly, Dimmu Borgir, Children Of Bodom, Tesseract, Dee Snider, Queensryche, Cradle Of Filth and Code Orange. Tickets are available from the official Bloodstock website.